Zyomed’s mission is to create a continuous, wearable non-invasive glucose monitor for all patients with diabetes. The company is focused on demonstrating and clinically validating non-invasive optical tracking of interstitial tissue glucose. Novel optical spectroscopic signal processing is used in conjunction with tunable, photonic sensors for amplifying, quantitating, and tracking glucose-analyte specific changes in blood or tissue chemistry. Patient-centric, spatio-temporal spectral variations due to contact, skin-hydration, tissue morphology and physiology are accommodated via a robust factory-calibration process invented by the company. Dr. Sandeep Gulati, founder and CEO, has over 25 years experience in weak-signal processing, sensor fusion, computational physics and software intensive systems. At Zyomed he is focused on developing a non-invasive optical spectroscopic glucose sensor for people with diabetes. Zyomed’s platform technology is broad-based and will lead to a new generation of stand-off, noninvasive microsystems based on novel biomarkers and device physics. He is the inventor of Zyomed’s core technologies that include Collision-Computing and Spectroscopic Tomography for detection of analytes in high interference from other biological confounders. Prior to founding Zyomed, he founded ViaLogy for oil and gas reservoir discovery, de-risking field development and accurate sizing. He invented and commercialized a novel sensor-agnostic, computational technology, Quantum Resonance Interferometry (QRI) to detect and quantify weak signals and events in high background noise and clutter. His activities have ranged from applying QRI for genomics, proteomics, biosensors, mass spectrometry and subsurface radar imaging, security and surveillance applications. Previously, Dr. Gulati headed the Ultracomputing Technologies Group at NASA’s Jet Propulsion Laboratory in Pasadena, CA. During his 12 year tenure at JPL/Caltech, he led computational advances in machine learning, spacecraft autonomy, autonomous diagnostics and prognostics of complex systems, command decision modeling and intelligence analysis. At JPL he was a Principal Scientist on a number of large programs of national relevance for NASA, DOD and other government agencies. He has consulted extensively with the financial services, entertainment, healthcare and aerospace firms. 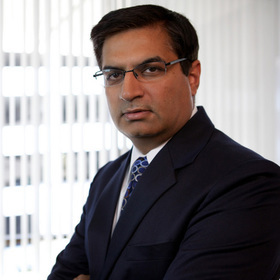 Dr. Gulati has 30 issued US patents and over 100 publications and presentations in archival journals and conferences.